It has been almost 300 days since fight fans last saw Jason High dishing out some ground and pound punishment to an unfortunate foe in a Strikeforce cage. 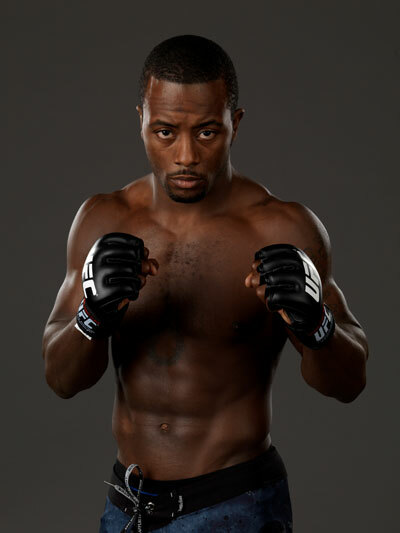 During his nearly 10 month absence, High has maintained a busy schedule of training, opening his own gym, winning a prestigious grappling tournament, and maintaining an active twitter account filled with his dry wit commentary on an assortment of topics like his family reunions, raising his daughter, and the occasional rap mixtape review, just to name a few. But as “The Kansas City Bandit” prepares to make his first Strikeforce appearance this year to do battle on July 14th, there is only one thing he wants to do inside the cage and it’s absolutely the sweetest music to fight fans’ ears: carnage. After a near year of career dormancy, the former NCAA Division I wrestler from the University of Nebraska is ready to add another victory with extreme prejudice to his current six fight win streak, which extends across three countries and two continents. High’s previous performance was a simple outclassing and dominant unanimous decision over Todd “Maniac” Moore. The bout itself was a 15 minute top-game clinic from High, as he scored takedowns and peppered his foe with elbows and punches while on the ground, throwing in a few submission attempts for good measure in his second clear cut W inside Strikeforce. At 30 years old with a professional record of 16-3, High is a welterweight train of takedowns with a more dangerous looking striking and submission arsenal each time he steps into the cage. It’s been over two years since his only career slide of dropping back-to-back bouts to Marius Zaromskis and Charlie Brenneman, and ever since, High has shown a wrestling for MMA takedown proficiency that is staggering and baffling to his opponents. Although the half dozen winning streak is impressive and speaks to his growth as a game rising challenger, High’s focus is the same as it ever was: get better everywhere. One specific aspect of High’s game that has noticeably gotten better is his Brazilian jiu-jitsu, and we know this because he has a medal to prove it. In search of some much needed competition in his life, he put on his gi and began training and later participated in the World Championships, also known as the Mundials. High took first in the medium-heavy weight category for adult male blue belts and finished all of his opponents, including a guillotine choke victory in the finals. Besides the gold medal, High was also awarded his purple belt, a serious case of cauliflower ear, and a much deserved sense of accomplishment. Up next for High is a long awaited Strikeforce date for caged fisticuffs against the 8-2 Nate Moore. The product of the American Kickboxing Academy is 2-1 inside Strikeforce, with his most recent win being an early second round knockout of Nathan Coy in January 2011. Moore’s shown a predilection for stoppages, as his last seven victories have come before the final bell. And even though he seems content to trade punches, Moore is a former NCAA Division I wrestler from Purdue University. In preparation for the scrap with Moore, High has been training at his own gym, as well as making the MMA pilgrimage to American Top Team in Coconut Creek, Florida. “They have great coaches, great training partners, a great facility, and that's all you need right there,” says High, who come fight night will be cornered by ATT co-owner and head instructor Ricardo Liborio and wrestling coach Kami Barzini. Liborio is as highly regarded as one can possibly be with his 7th degree BJJ red and black belt. Meanwhile, the Iranian born Barzini has wrestled at the top international levels and worked with other fighters like Daniel Cormier and Dan Henderson. This Saturday, there’s going to be a welterweight showdown between a “Cornhusker” and a “Boilermaker” in the Strikeforce cage. For “The Kansas City Bandit,” another W would keep his undefeated streak inside Strikeforce alive, but a win isn’t the only thing High is searching for. He wants a taste of a real fight and when asked whether he thinks he’s going to get it, High responds matter-of-factly, “I do think that.” Sweet music to our ears.